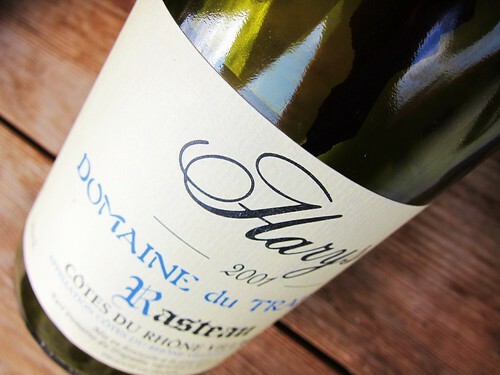 It’s been 2 years since I last had a bottle of Harys by Domaine du Trapadis. My verdict back then was more than positive, calling it a wine with intense aromatics, good complexity and a long finish. My only small objection was that the still somewhat present tannins might require 2 to 3 years to soften. Now, 2 years later, the tannins have indeed softenend and the wine’s texture and structure are as velvety and full as one could hope for. But what I didn’t foresee, is that the beautiful and shiny fruit was already on its peak back then and was about to start its move into the other direction. Well, there is still fruit now – a beautiful raspberry nose, with an aspect of Schnaps or liqueur to it that many strong Rhône wines are carrying. And also on the palate the fruit is enlanced with a fiery structure that sometimes peeks through as somewhat alcoholic. The finish is still quite full and long, and one has to conclude that the wine is still nice to drink. The problem is that one has to drink it fast: with every whiff of air touching the wine, the fruit seems a bit more blunt and starts to mute towards more brownish flavors of decay. PS: this actually confirms the estates own view on the aging potential of the wine. They expect it to peak after 3 to 4 years and recommend cellaring for up to 8 years. This one was 10 years old already. 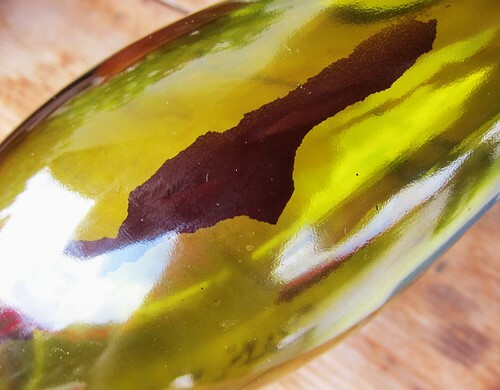 Signs of extensive bottle ageing!